You really don’t release the effect stress has on your mind, body, soul and even your relationships until it is too late. Similarly, financial stress can greatly effect your life but what are the effects of financial stress on marriage and your other relationships? There is no doubt that money causes a lot of stress in this world. Financial stress (when you are unable to be financially stable) is something that effects many people but is seldom spoken about. Seven out of 10 Americans would say that finances are one of their number one concerns. Only 1 in 10 seem “carefree” about their financial situation. If there was ever a definition of financial stress it is the last seven months (or so) of my life. I was put out of a place to stay, lived in a hotel and somehow managed to pay off $2,000 in debt and save money to move into an apartment. That being said, those seven months were some of the most trying times of my life and the financial stress definitely impacted my life in ways I didn’t even realize. Financial stress can impact your life in many different ways. Personally, financial stress impacted my health mostly. I was unable to eat normally and got sick every few weeks. There are many other effects of financial stress that you may not realize. Health: Stress of any kind can be detrimental to your health. Stress can cause anxiety attacks, heart issues, blood pressure problems, ulcers as well as a number of other health issues. If you feel like your financial stress is getting the best of you, seek professional help. 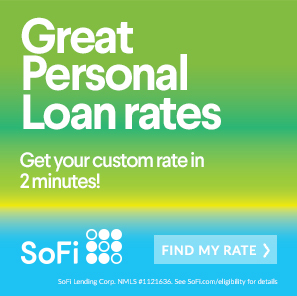 Credit Scores: Of course your financial stress is likely to effect your credit score over time. If you’re unable to pay bills, etc your score will start to slip. The thought of this, though, is likely to cause more stress. Loss: You can lose a lot when you’re going through financial stress. If you’re not able to pay bills (as mentioned above) you may start to lose things. For example, if you’re unable to pay your car note it may get repossessed. Mood (Depression): Financial stress can also have a huge impact on your overall mood and can even cause depression. When you become depressed you begin to let other parts of your life slip too (usually). Your job and even relationships may begin to feel the impact of your stress. Relationships: Your relationships may also suffer when you’re going through financial stress. Friends and family may not understand the stress you’re going through or you may not want to talk about it. You’ll also be less likely to be social because of your financial situation. Outside of personal relationships (friendships, family, etc) financial stress is also known to have a huge impact on marriage. In fact, money is one of the number one things couples fight about. What are the Effects of Financial Stress on Marriage? Your spouse is someone you share everything with, which means that sometimes you’ll both have to bear some stress for one another. Financial stress can really put a strain on a marriage though. Some of the effects of financial stress are (but not limited to) anxiety, depression, alcoholism, sever health issues, eating disorders and even the inability to sleep. Each of these things can greatly effect a marriage. All of that and you and your partner are both suffering. You both have to deal with the thought of having absolutely “nothing” or having to change your lives as you know it to better your financial future. This can lead to fights and even a feeling of loneliness (if you feel your partner isn’t communicating enough). There is good news though. You can always overcome your financial stress. Figure out what has you stressed. If there is a credit card payment keeping you stressed out, looming debt or whatever it may be, identify the problem. Once you’ve done that you’ll be able to start to overcoming financial stress. Try and think positively. One of the things that pulled me through my time of financial stress was focusing and how great life was going to be once the stress was gone. Keep your head up! It will help you overcome your financial stress. Set realistic goals. It is easy to say “I want to pay off all my debt” but without realistic, smaller goals you won’t ever get anything done. Sit down and set some realistic goals for your financial future. Oftentimes writing these things down can help you reduce your stress tremendously. Make your dollar count. When I was working on overcoming my personal financial stress I focused on trimming my budget. Everywhere I could cut something I did. Be sure you’re getting the best deals possible and trimming your budget to the best of your ability. Lean on someone. You don’t have to overcome your financial stress alone. Find a family member or friend you can confide in and don’t be afraid to share your goals with them and lean on them when you need to. Overcoming financial stress is difficult. 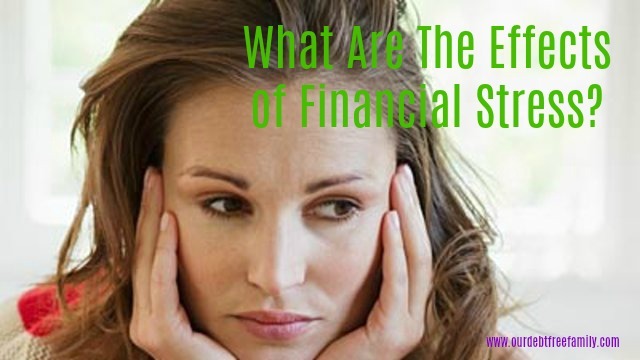 Do you have a personal story on how financial stress effected your life? We’d love to hear from you. Paribus Review: Can Paribus Save You Money?